The Military Spouse J.D. Network Foundation is the education and service foundation of the Military Spouse JD Network. 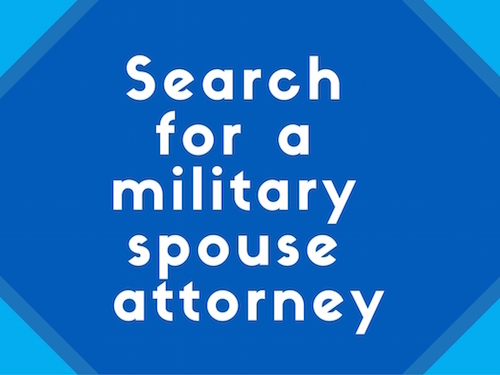 In 2011, MSJDN was formed to serve as a bar association and networking body for military spouse attorneys, with the goal of improving the lives of military families. The White House challenged communities to remove the licensing and employment barriers facing military spouses. MSJDN answered that call by working tirelessly to reduce licensing barriers in jurisdictions around the country. But this is only part of the MSJDN mission. The organization needed a vehicle for education, and for plugging its members in to meet the specific legal needs of the military community. So, in 2014, MSJDN formed the Military Spouse JD Network Foundation (“MSJDNF”), a 501(c)(3) non-profit, to develop military spouse attorneys as professionals, teach them effective advocacy skills, and provide them with opportunities to use those skills to address the legal needs of the military and veterans communities. Justice for Military Families: Justice for Military Families (JMF) connects military families with legal needs to legal help from MSJDN’s network of military spouse attorneys and supporters in the legal profession. It is a pro bono program for military families by military families, and is staffed entirely by MSJDN volunteers. The first partner in this effort is Tragedy Assistance Program for Survivors (TAPS). MSJDN and TAPS are partnering through JMF to fill the legal needs of families who have paid the ultimate price of freedom. To date, over 80 families have been helped through JMF.